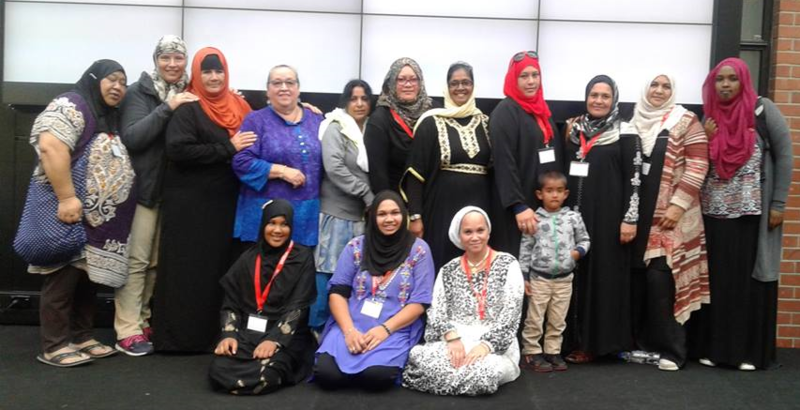 Māori women who have chosen Islam as their religion shared how they maintained tikanga alongside their faith at the annual Conference of the Islamic Women’s Council held in Hamilton at the end of April 2016. Yazmeen Brooking and Jameela Hawkins-Elnewihy from the Hastings Māori Muslim Community said that as tangata whenua, both were of equal importance to them. They felt strongly connected to their whakapapa and whānau and were committed to maintaining Māori cultural practices while upholding their religious beliefs. Preparing a hangi or catering a tangi while practicing Muslim dietary requirements, and observing the need to pray at certain times of the day while attending hui were among the practices discussed. The wāhine were among 240 men and women from a variety of host and ethnic communities who took part in a public forum associated with the main conference. The conference itself was only open to Muslim women and the 200 women who did attend were from 26 different ethnic communities from throughout Aotearoa. 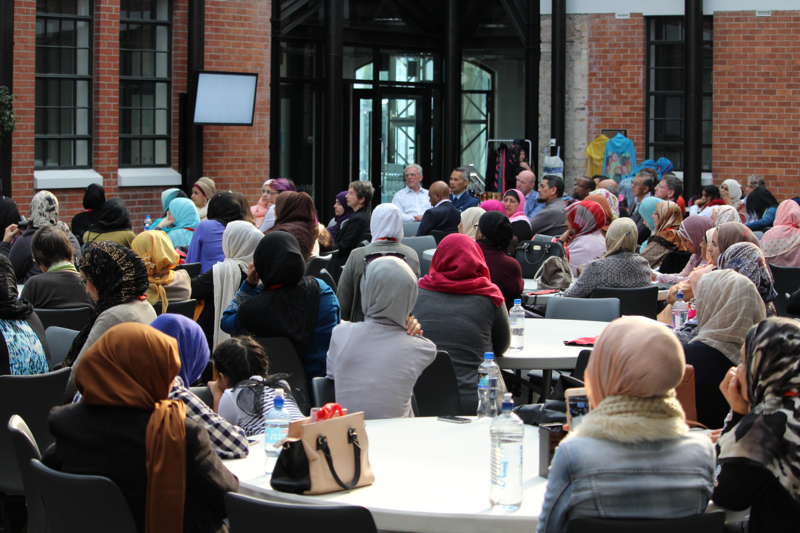 The conference was hosted by the Women’s Organisation of the Waikato Muslim Association (WOWMA). It included a keynote address and workshops focusing on self-improvement and the actions each woman could take to support social cohesion while maintaining their own identity as Muslims. E Tū Whānau’s Ann Dysart ran a session with Naima Ali and Meera Hameed, both Youth Leaders from Auckland’s Umma Trust, on “Identity Whilst Living in Aotearoa”. Most of those at the conference were young women aged between 17 and 30 years. This reflected the conference’s strong youth programme designed and organised by the young female Muslim kahukura (leaders) of WOWMA. These Kahukura also were largely responsible for the organisation of the wider conference. This year’s theme was Stepping Up and Stepping Out. The increased youth participation followed on from the successful IWCNZ national youth camp for Muslim girls held last December. “In order for successful integration, our youth programme is focused on developing strong and confident young women who feel comfortable with their unique Kiwi Muslim identity,” said Assistant Coordinator, Aliya Danzeisen. E Tū Whānau supports the development of Muslim rangatahi as part of its work with refugee and migrants. E Tū Whānau’s values are firmly rooted in Te Ao Māori and the experience of whānau but they’re meaningful and useful to other groups as well. Aliya is clear that the E Tū Whānau kaupapa has been an invaluable support to her community and provides a structure for positive change.